You can easily filter and search through your conference's information using the filtering options in the system. 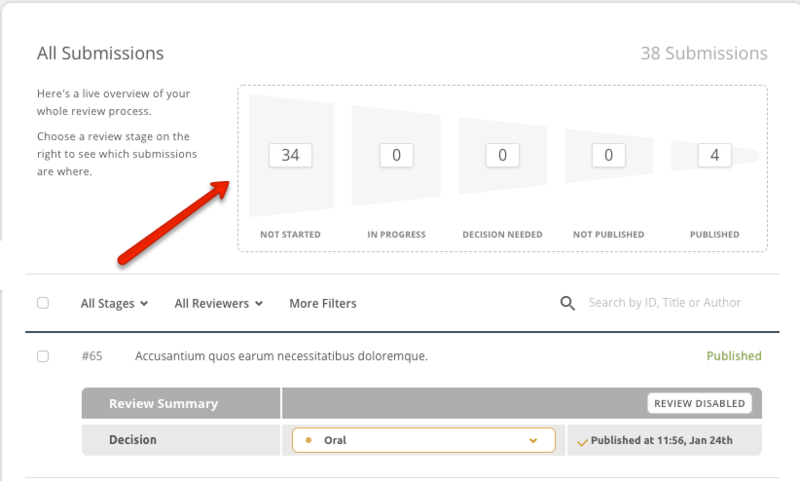 You will see a funnel on the top of your Review list showing the status of your review process. 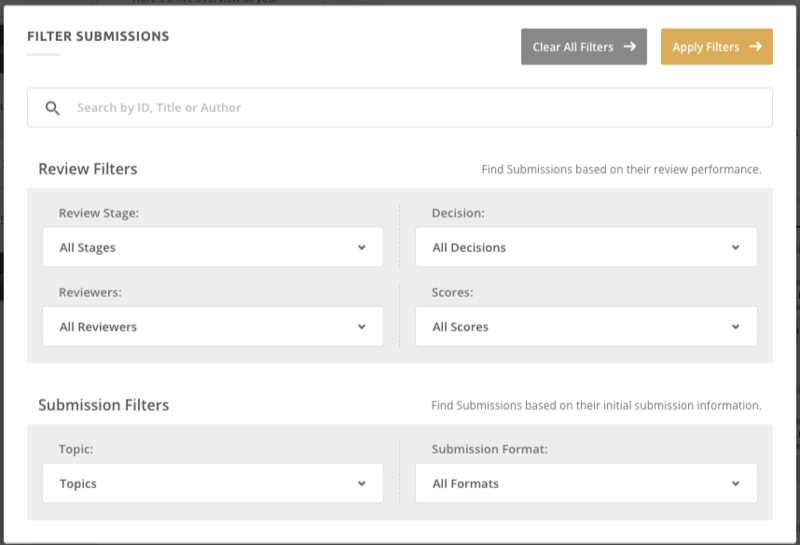 By clicking on each section of the funnel the system will filter out those specific submissions depending in which status they have.